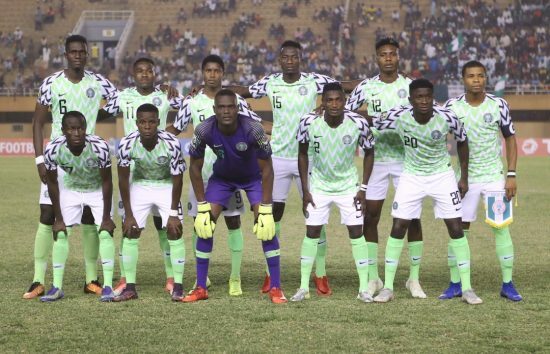 Akwa United winger Aniekeme Okon missed the last spot-kick as Nigeria’s Flying Eagles lost 3-4 on penalties to Mali at the semi-final stage of the 2019 Under 20 Africa Cup of Nations in Niamey on Wednesday evening. After spells of Nigerian dominance,Mali went in front in the 77th minute through Mamadou Traore who emphatically netted Hadji Drame’s pass but the Nigerians fought back to equalise three minutes from time through Onyekachi Durugbor to take the game to extra time. Both teams remained inseparable in extra time before defender Valentine Ozonwafor and Aniekeme missed their kicks to send Mali to their first Under 20 AFCON final in 30 years. Nigeria almost took the lead in fortuitous fashion after just two minutes on the clock when Abubakar Ibrahim’s right wing cross was diverted by Malian defender Boubacar Kanoute onto the cross bar but there was no Nigerian on hand to follow up the rebound. Malian goalkeeper Koita Youssouf then pulled off the first of many saves when he tipped Ibrahim Alhassan’s free kick from 30 yards over the bar in the fifth minute of play before Nazifi Yahaya headed a Jamil Muhammad cross over from the far post. While the Nigerians continued to dominate possession, they were reminded of their defensive responsibilities in the 20th minute when a good passage of play by the Malians ended in Mamadou Traore hitting an effort over from just inside the box. Goalkeeper Youssouf then rather phenomenally kept the score level at the break with a brilliant double save two minutes to the interval. Nigerian captain Ikouwem Udoh’s perfect cross was met with a good header by Yahaya but the goalkeeper saved from point blank range before keeping out the follow-up by Akwa United star Aniekeme Okon. Nigeria continued to dominate in the second half but grew in carelessness as well. Midfielder Ibrahim Alhassan was caught in possession three minutes into the half but he heaved a sigh of relief as Traore shot wide from a good scoring position. The Malians however made Paul Aigbogun’s wards pay for leaving their back open thirteen minutes from time as a mini-counter attack afforded space to Drame who cut in and pass to Traore, the Stade Malien forward finishing with aplomb. Durugbor who replaced striker Yahaya midway through the second half then scored but the Nigerians eventually paid for their profligacy and will contest the third place play-off at the same venue, General Seyni Kountché Stadium in Niamey on Saturday.